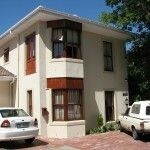 Magnolia Place is situated just off the center of historic Stellenbosch, adjacent to the Eerste River and one block away from the MediClinic and a convenient shopping complex. A view of Stellenbosch and surrounding mountains can be appreciated in three directions. 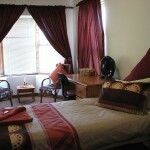 Magnolia Place Guest House in Stellenbosch offers the perfect stay over for any traveler or business person. 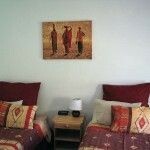 The self catering guest house in Stellenbosch offers five spacious rooms with a shared kitchen and dining area. Just off the centre of town, Magnolia Place is within one block of the Medi-Clinic and a convenient shopping centre. 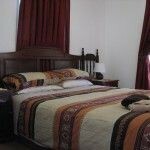 The spacious rooms have double and twin configurations each with an en-suite bathroom with shower. Secure parking for vehicles allows access to a private entrance to Magnolia Place. A shared kitchen with micro-wave, stove, kettle, toaster, fridge and fully utensiled allow food preparation. A continental breakfast is available by seperate order. Seating for 10 people is available for dining. A braai facility is available and allows for the best use of the Western Cape summer and the weather perfect days in winter. 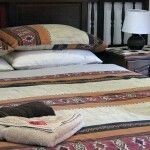 Visit award winning restaurants, coffee shops, museums or theatres, all within 5 minutes drive of your base at Magnolia Place Guest House. For the more adventurous there are a variety of activities available in and around town. Beautiful hiking trails, Cape wine tours and horse riding to name a few of the things to do around Stellenbosch. Some of the worlds most beautiful golf courses are in and around Stellenbosch. 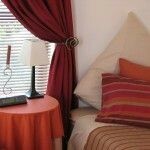 Adjacent to Stellenbosch are three golf courses, all within 20 minutes drive from Magnolia Place Guest House in Stellenbosch.